RPG Maker MV | RPG Maker | Make Your Own Video Games! 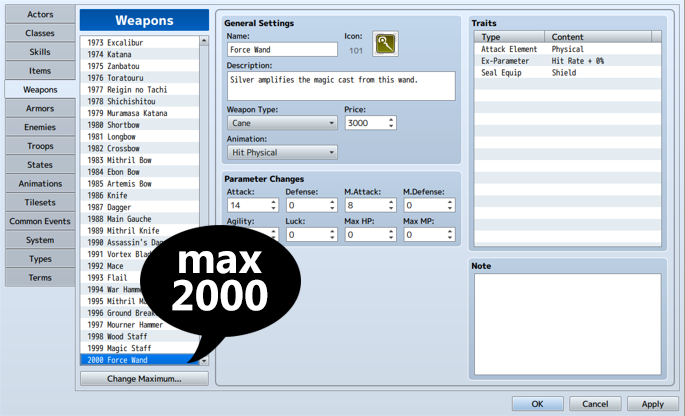 RPGMAKER was born to fulfill the desire of creating an original RPG without programming knowledge. 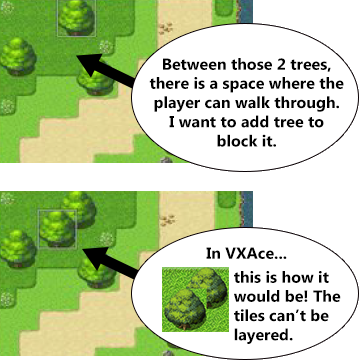 Four years have passed since the release of the previous RPGMAKER, VX Ace. The landscape of gaming, especially for RPGs, has changed greatly. So did the needs of our users. 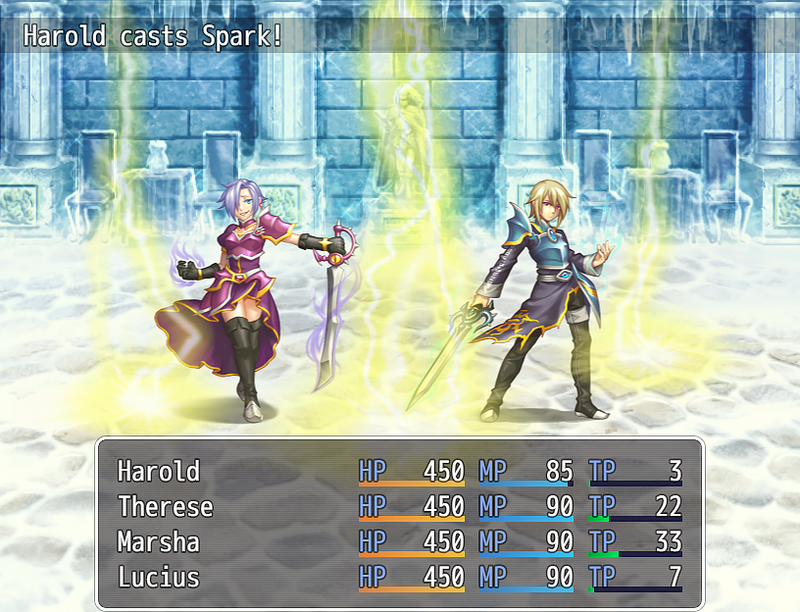 With the latest installment, RPGMAKER MV allows the dreams of many of its fans to come true! 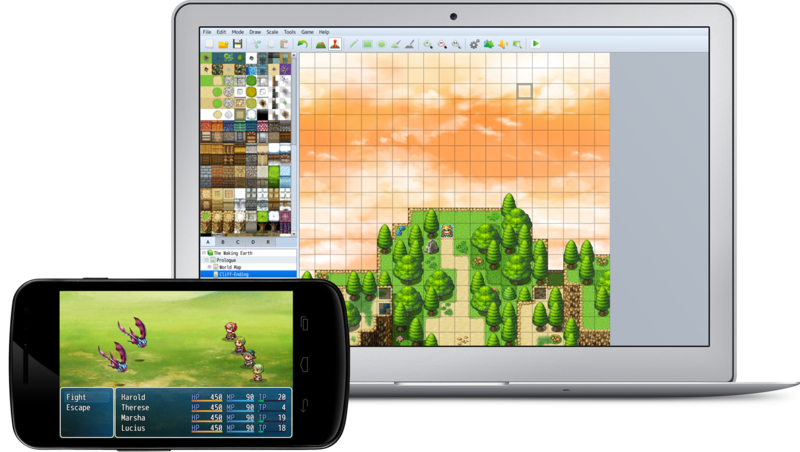 RPGMAKER can now create RPGs for MacOSX, Android and iPhone! * Your purchase will include: Stand-alone version of RPG Maker MV for Windows, complimentary Steam key for RPG Maker MV for Windows/Mac/Linux, free bonus materials. Tired of doing all actions via the keyboard? 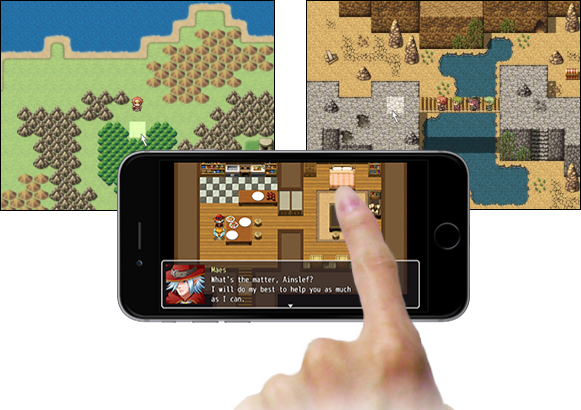 You can now play your RPG with your finger on touch devices, and mouse on computers. Support for twice as many items as VX Ace for a grand total of 2,000! With a tick of a checkbox, you can switch from the classic Front View Battle to Side View. 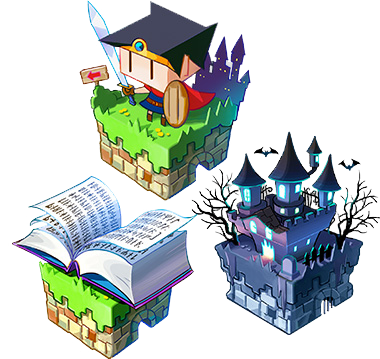 RPG Maker MV has an automated upper layer to make it easy to create and edit elaborate maps! 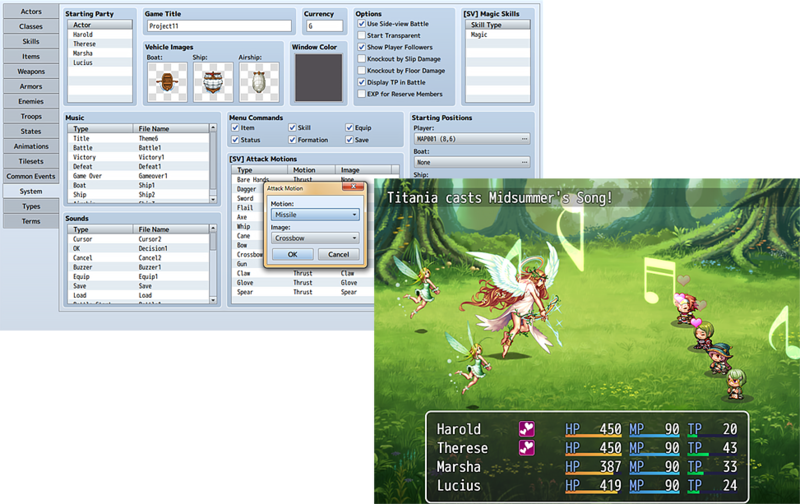 The previous RPG Maker's screen resolution was 544x416 pixels. 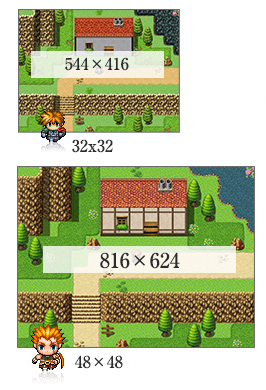 RPG Maker MV's screen resolution is now 816x624 pixels. The size of all graphical assets (including animations) are now 1.5 times the previous versions of RPG Maker. For example, characters used to be 32x32, and now they are 48x48. By adding js files in the project's plugin folder, you will be able to select the plugin in the Plugin Manager. You can see script details, script parameters and the ability to set it ON and OFF. 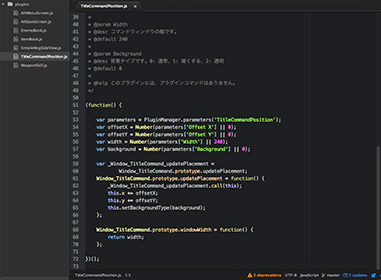 Using Plugin Manager will be much easier to use than the old format. Allowing minimal user interference to prevent errors and easily order the scripts than the previous makers. 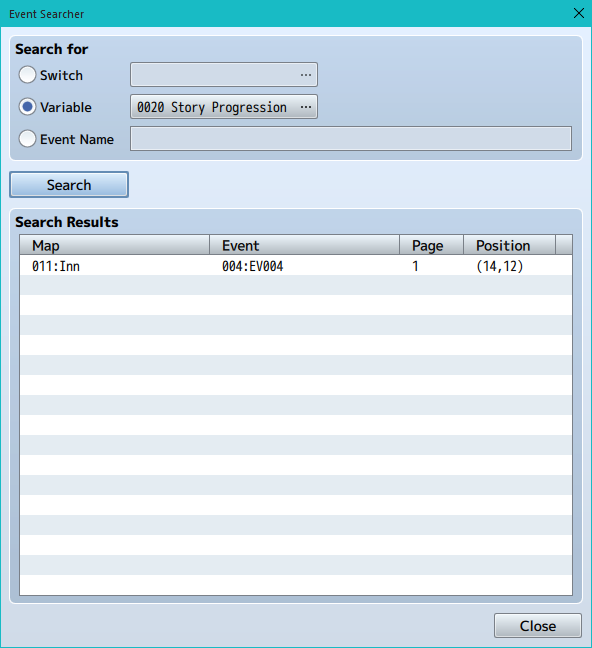 One of the missed functions from RPG Maker 2003, The Event Search function is back! The bigger your game gets, the more Variables, Switches and Events you'll use. It quickly becomes harder to manage and find specific parameters. Using the Event Search tool will allow you to save time and quickly see all instances of a particular variable or switch! To download the windows trial version just enter your name and email and click on the "DOWNLOAD NOW" button. The Mac OSX version of RPG Maker MV uses Valve's Steam platform as DRM. 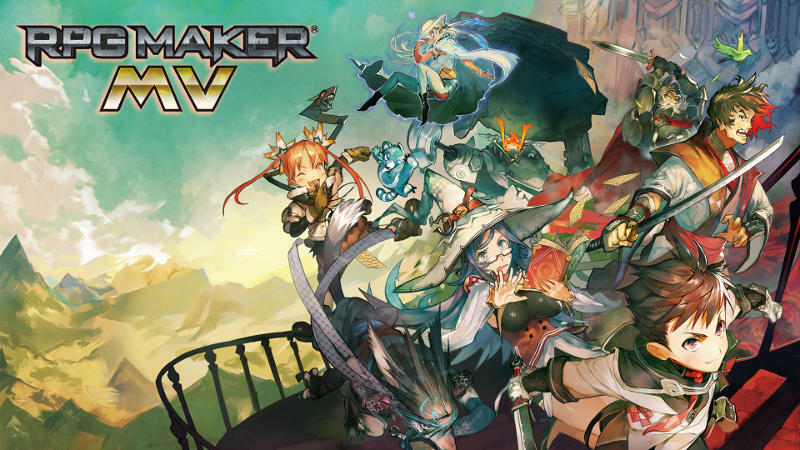 When you purchase from this site, you'll receive a key that will activate the Steam version of RPG Maker MV. * Your purchase will include: Stand-alone version of RPG Maker MV for Windows, complementary Steam key for RPG Maker MV for Windows/Mac, free bonus materials.